I just finished watching Gravity starring Sandra Bullock and George Clooney. This is one that I really wanted to see in theaters in 3D, but I missed it. Now, I’m kind of glad I did. I think this one would have made me nauseous. Lots of spinning and flying through space. The imagery and visuals in this film are stunning. The sunrises over earth, the Aurora Borealis and the vision of the lights in the U. S. at night are gorgeous. What really got me is a particular image at a pivotal point in the story, a turning point for Bullock’s character, Dr. Ryan Stone. Beneath the terrifying whirlwind adventure in space, they did some great character development. 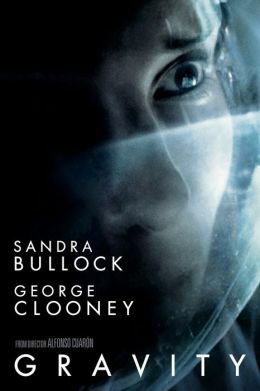 Sandra Bullock’s character is transformed and ends up confronting events from her past in the lonely vacuum of space, and emerges at the end of the film a much different person than the one who joined the mission. As a kid, I watched the movie Space Camp and decided that I definitely wanted to be an astronaut. I was reminded of that childhood dream as I watched this movie, and determined that I rank up there with Doctor Leonard (Bones) McCoy with the opinion that space is scary. Beautiful. Awe inspiring. Humbling. Powerful. Terrifying. I think one of the things that made this resonate was something that I read or heard in an interview with an astronaut that, although the film didn’t get everything right, they did a really good job of giving viewers a realistic glimpse of space. This little snippet that took up less than 30 seconds of the interview is what rolled through my mind through 80% of the film. Oh. Holy. Crap. For this movie, Sandra Bullock filmed alone, with not much more than a voice for company. As I understand it, typically movie sets are pretty crowded places, and being by yourself when you’re typically surrounded by people had to be weird and maybe a little stressful. I can see the filming circumstances playing a role in the portrayal of this character as well. All alone out in space…space. Alone. In space. This creeps me out a little all on its own. As a person who gets a little antsy if I don’t interact with living breathing people on a regular basis, the idea of being in space all by myself, is…tension-worthy. I understand why Gravity is so highly acclaimed, and I’m really glad I watched it. This entry was posted on Wednesday, July 9th, 2014 at 9:18 pm	and tagged with George Clooney, Gravity, Sandra Bullock and posted in Movie Reviews, Movies. You can follow any responses to this entry through the RSS 2.0 feed.